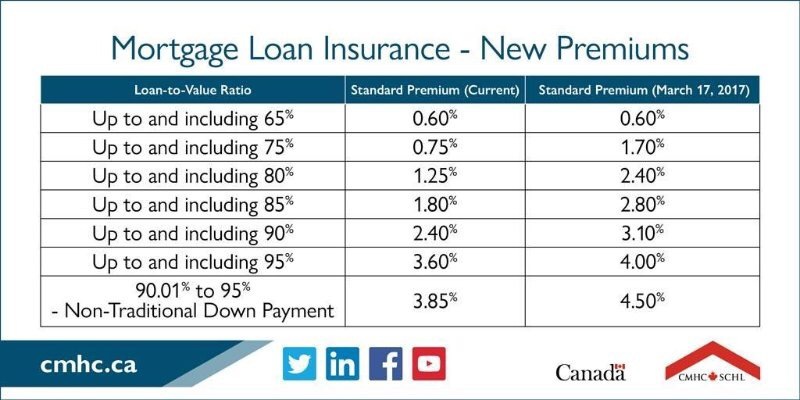 CMHC has announced that their home mortgage insurance premiums will be increasing, effective March 17th. For the average home owner, the increase in premium will by approximately $5 monthly in the monthly mortgage payment. Mortgage loan insurance protects the mortgage lenders from loss in case of the borrower defaults. This also allows borrowers to purchase a home with as little as 5% down and also have access to competitive mortgage interest rates. Mortgage loan insurance is mandatory for any home purchase with less than 20% down. These new premiums will be in effect as of March 17, 2017. Any mortgage applications submitted prior to then will follow the current premium rates, and new rates will apply for applications submitted March 17th and going forward. For more information or if you have any questions, please contact Rose Blankenagel, Mortgage West - The Mortgage Centre.